Can Microsoft turn RT's fortunes around? Microsoft has received a kicking in recent months for its botched Windows RT strategy, with many being of the opinion that it only has itself to blame. And perhaps they are right: the company failed to educate consumers on the differences between the different Windows 8 versions, ran a series of confusing (and not to mention expensive) advertising campaigns, and scared off most vendors that originally declared support for it. It would be easy, then, to write off RT's chances of survival. Why doesn't Microsoft simply take it out back and have it stare down the twin barrels of a gun, like it did with its Zune music player in 2011? The similarities are there: Zune attracted apathy in droves and even ran on Windows CE, a cut down version of Windows for mobile devices. However, unlike the Zune, which only managed to (arguably) become an Apple killer long after people stopped caring, Windows RT has potential now. Not in a year; not in three years, but today. 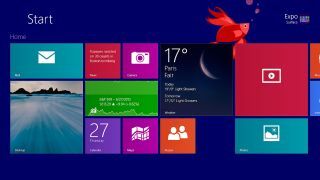 Unless Microsoft harnesses that potential and takes decisive action after Windows 8.1 lands next month, however, it'll be a case of RanOut(of)Time, rather than RunTime. Calls for Microsoft to kill the desktop on RT are understandable. The theory is that if Microsoft wrote modern UI versions of its Office apps, the desktop would be surplus to requirements. The other side of the coin is that the desktop is one of the reasons that Windows RT devices allow greater levels of productivity than, say, Android slates or iPads. It gives you the ability to insert a USB stick or a 64GB SDXC card and instantly begin dragging, dropping and working on files. Unfortunately, though, it also serves as a frustrating reminder that RT can't run legacy desktop apps. Banishing the desktop mode altogether would pose a problem for RT device owners that rely on Internet Explorer and web apps to provide basic functionality missing from apps that aren't yet in, or may never make it to the Windows Store. If Microsoft got rid of the desktop, it could compromise by developing a dedicated desktop app for the Modern UI interface to provide the basic functionality that would be lost by taking the desktop away. With the Modern UI, is a desktop needed? RT needs more apps from big publishers – badly – and Microsoft needs to convince that it's a platform worth developing for. From Foursquare to Flipboard, and even spanning to Facebook (which Microsoft has a stake in), the barren Sahara that is the Microsoft Store affects every owner of an RT device no matter what their daily levels of productivity are. Even some of the big name apps that are present, such as Microsoft's own SkyDrive app, are lacklustre. It doesn't allow users to sync locally stored content with the service, as Dropbox or SkyDrive users on the desktop can (thankfully the Windows 8.1 update looks to fix this). Then there's the Evernote Touch app, which crashes if users have more than a few hundred notes associated with their account. Granted, this may not be a fault with RT itself, but it does raise the question of why an app for one platform (the iPad version, for example), works without a hiccup and crashes frequently on another. An OS that's trying its best to foster a growing app ecosystem is one thing; an OS that has little to offer and is broken in many places is another. When certain products or services attract a bad reputation, sometimes there's no going back. Duke Nukem Forever and Chinese Democracy are two that immediately spring to mind, and Windows RT has been reserved a seat at the head of the table.